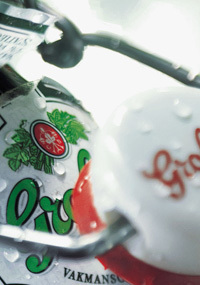 Grolsch is a Dutch lager which became famous all around the world for its iconic ‘swing top’ bottle. This impressive bottle was launched in 1897 for the first time and from then it expresses the Grolsch philosophy that focus on quality and innovation. 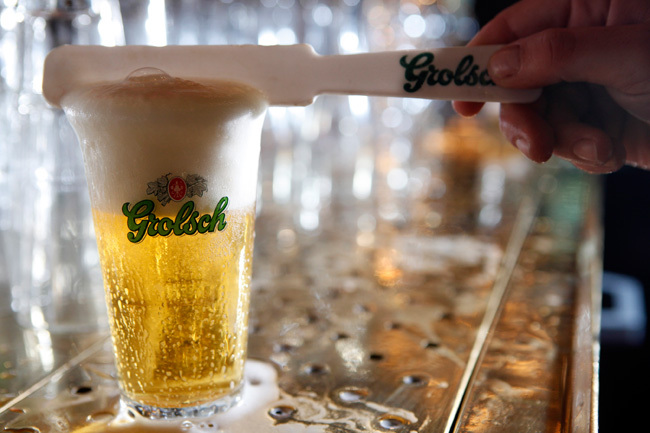 Today, Grolsch is one of the biggest brands in the Netherlands and after the recent take over from beer giant, SABMiller, has become one of the global brands of the company. 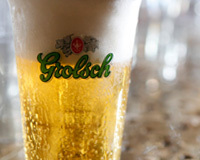 Grolsch is brewed in Enschede in a state of the art brewery and has a very refreshing taste with a light bitterness.